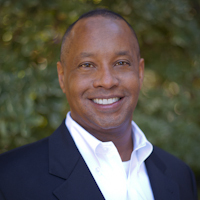 Eric Fairfax has been a highly regarded mortgage broker in the San Francisco/Bay Area for the last 20 years. He is a Partner & Branch Manager for the Townsend office, along with being a top producer. Eric’s driving force is to build long lasting relationships with his clients and real estate associates. His gratification comes from his perseverance to see each transaction through from start to finish. Constantly evolving with the changes of the market, Eric strives to make sure each client fully understands all options available for their unique situation so as to help them secure their financial goals.